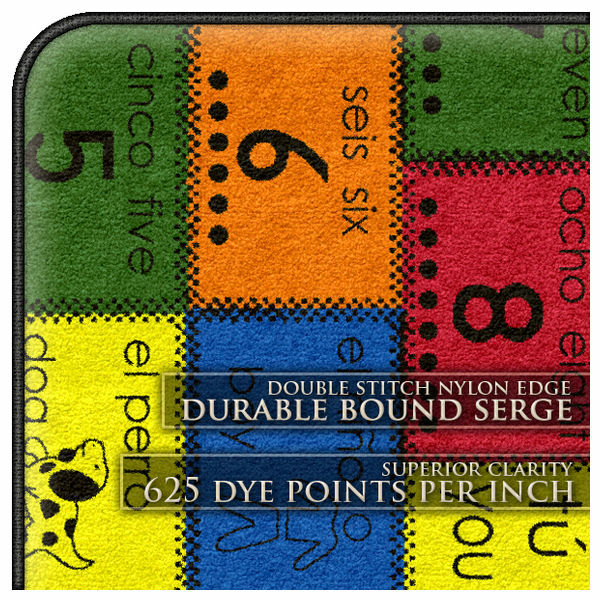 Amigos Bilingual Kids Educational Rug by Flagship Carpets has a colorful patchwork of numbers, colors, and pictures with both Spanish and English words. The Original Bilingual Rug! 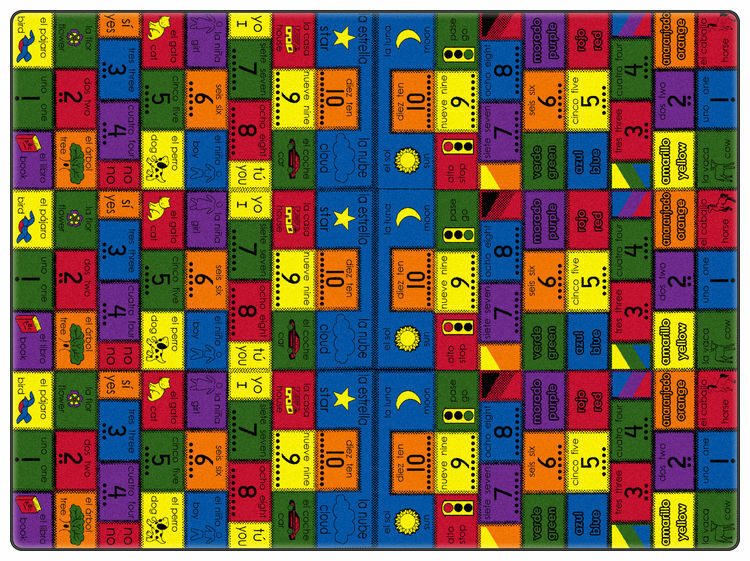 Introduce Spanish to your learning center with this bilingual carpet. Amigos� is made with Denistech� technology, Force Five�, Stain Shield�, and Mircrogard�. Amigos� includes a Teachers manual and learning games. Amigos Bilingual Kids Educational Rug is made by Flagship Carpets, they have Produced High Quality Rugs for the Educational Industry for Over 22 Years. Flagship Kids Carpets-Amigos Bilingual Kids Educational Rug has different Size to choose from.